Sometimes a relatively simple shoe that might look good but be a bit flat in character can be uplifted a million times over with a bit of work in the polish and color department. I am actually working on a post about doing home made patina for beginners, a sequel to my very generic one that I did years ago. Don’t get your hopes up though as I probably won’t release it for a little while. Sorry but these things take time these days. 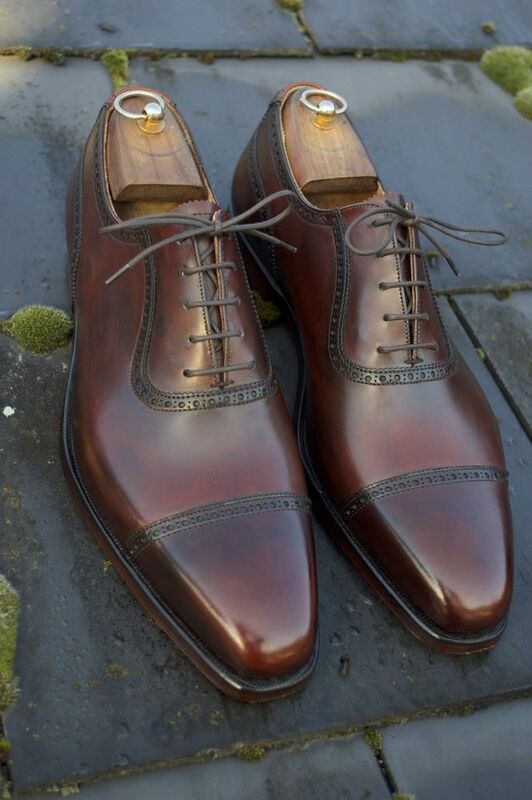 But back to the subject and point, from what I gathered on Style Forum, this pair of Crockett & Jones Westbourne’s (see original below) were simply given a home remedy patina by one of the members of the forum. While this does not look as flashy and intricate as the other patinas that I show on the blog, I must say that he actually did a really good job, as he completely uplifted the look of the shoe but did it ever so subtly. 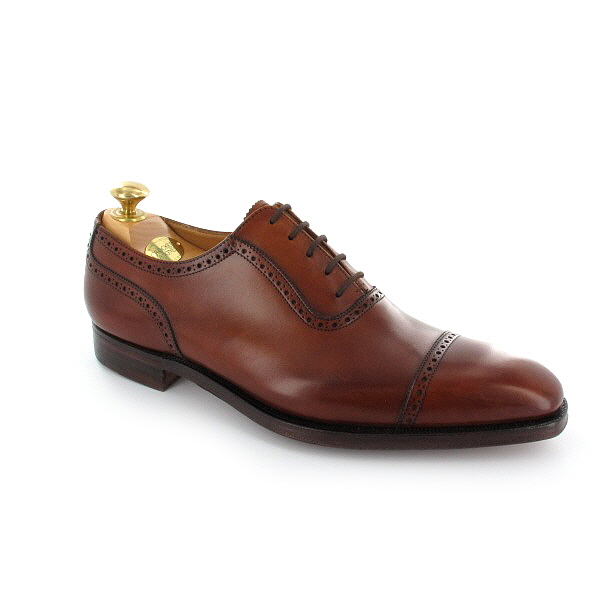 And what he did, makes that shoe look not only a 100 times but also more expensive…. Well done to the owner of this shoe! They look a lot better after the patina. They were the same colour with the ones below? They look like burgundy now. Drooling over those shoes… Good job! Good Busy, Crat. Yours truly, B.S. Thank you for the kind words, Justin and Bill. my pleasure, well done on these! Perfect, love you Chris! Like how you know how to make things shiny! Kisses and hugs! Yes! I get this! for a thing to be “look…a 100 times” is one thing, but also to look more expensive is just too much! Do you outsource your writing (sorry, blogging) to people with learning difficulties? Keep buiding the blog Anand! Every time you mention ‘shoe’ you only make it more likely my blog will come up on the 1st page of Google when people search for anything shoe related. FYI, “English” should be capitalized because it’s a proper noun. Should have a question mark after “exactly,” not a comma. “Most” should then be capitalized. How’s it possible to write so poorly?